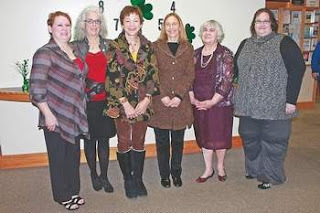 The Soroptimist of Port Angeles-Jet Set organization has honored women making a difference in the community with its 2011-2012 Women of Distinction awards. Women honored at a ceremony last Thursday at the Port Angeles Senior and Community Center include… -- Kathy Charlton, Molly Rivard and Lisa Martin, the “working girls” of Olympic Cellars Winery. this Thursday, March 8, 6 p.m. The first time I saw one of Pamela Hastings artistic creations… her signature Hot Flash Doll, I was hooked. This doll conjured up so many images, feelings, experiences… good days, bad days, hope, sorrow, reality and just plain joy. This year Pamela has challenged herself to photograph and paint 100 HOT FLASH WOMEN of all ages. She also wrote in her blog that she was nearing retirement age (what is that anymore) and wanted to gather ‘older women’ together to discover the potential inherent in our age (notice I use the word “our” liberally) and celebrate what we’ve done, the skills and energy we possess. When she sent out her email about this project, I held on to it because there was something I couldn’t quite grasp bouncing around in my brain. I knew it had something to do with this year’s International Women’s Day Celebration but wasn’t sure why. Then I read the theme for International Women’s Day… CONNECTING GIRLS, INSPIRING FUTURES. For the past eight years Olympic Cellars has partnered with Womanfest in celebrating IWD. Womanfest was founded in 1983 and their mission is to create opportunities for the well-being, support and empowerment of women. I know you join with me when I say… we could easily count up a 100+ women amongst us, here in our community, that have made a difference in our lives without even knowing it. In 2011, it was the 100th anniversary of International Women’s Day. 2012 is the 101th anniversary which to me is even more symbolic. Because… women never stop making a difference, day after day, year after year… in their community, within their family, for their girlfriends, extending a helping hand, mentoring a young girl. A place peopled with women. In 2007, Kellee Bradley performed at our IWD celebration and wrote her own lyrics to one my favorite songs, I am Woman, by Helen Reddy. 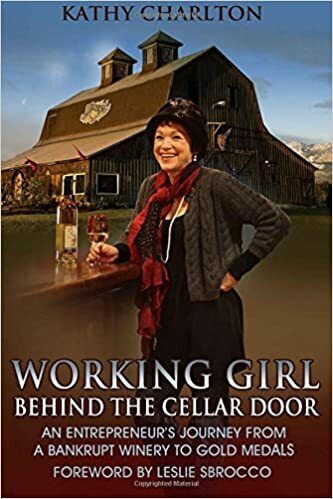 While this was also linked to our Working Girl Wines, it is also a Hot Flash, a Place Peopled with Women. We designed a t-shirt after this song. Looking at all the logos uploaded to the official IWD site by groups like ours celebrating the accomplishments of women, for me this is mine… I am Woman Hear me Pour. I've found my voice. I'm not afraid to say it loud. If I have to, I can do anything.